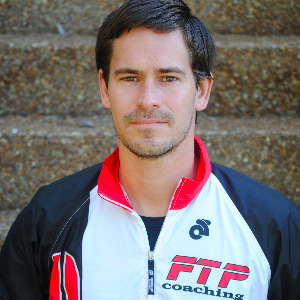 I started FTP Coaching in 2010 and work in the business full time. For over four years, I lead a group coaching model with five sessions a week. With over 6 years of full-time coaching experience, I have had the experience to work with a wide range of athletes. I have coached over 50 Ironman finsihers, Kona and 70.3 Worlds qualifiers. I provide a direct, no-frills approach to coaching. It first begins with rapport and establishing a strong relationship with each athlete. From there, I develop a training plan that fits triathlon and into your life, not the other way around. Each workout and training block has a designed purpose aligned to your goal. There is no junk training. Along the way, I hope to educate you on 'why' we train a particular way. Lastly, every plan is unique to the individual. There is no one-size fits all approach. I require athletes to own a GPS enabled watch and power meters are HEAVILY encouraged. Success. Coach Andrew Dollar has been notified of your message.